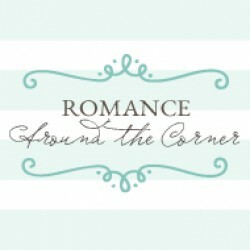 Originally posted at Romance Around the CornerSource: A review copy was provided by the publisher trough NetGalley.As you guys know, I loved Pushing the Limits because OVER THE TOP ANGST! *ahem* Which is why I was dying to read the sequel. Unlike its predecessor, however, Dare You To is --or at least feels-- less convoluted, probably because it only focuses on one angsty character instead of two. It is still quite dramatic, but way more contained.I was intrigued by Beth as a secondary character in Pushing the Limits, and I liked her a lot as a heroine in Dare You To. She spends the whole book being angry, something that automatically makes her refreshing and interesting. The previous book heavily hinted at a different outcome for her, meaning that it appeared that her hero would be Isaiah, the other secondary character, yet this book completely challenged all my expectations. And although Isaiah still plays an important role here, he is not the love interest.But let’s talk about Beth first. As I said, she’s really angry. Her mother is an abusive addict unable to take care of her. When the book opens, Beth’s uncle, a famous former baseball player, is back in her life and takes her to live with him. This doesn’t sit well with Beth because once upon a time he left her and never came back. But now he wants to make up for it by taking care of her and giving her the life she missed. And in order to do so, he takes her to a small town where everything is the opposite to what Beth is used to. Not to mention that Beth worries about her mother and feels like it’s her job to protect and take care of her.That’s how Beth meets golden boy, Ryan. Things don’t start well between them, but you know how things go, so ultimately they spend some time together and begin to see each other under a different light. He has his own demons and his life isn’t as golden as it appears, but is Beth who must learn how to trust and to let go of her self-destructive path. As I said, the over the top drama was somewhat toned down, or more accurately, it was all directed to one character. Ryan had his own issues to deal with, but Beth is the real star of the book.In the previous book Beth wasn’t the most likeable character, especially when compared to Echo. But that strong personality is what makes her such an interesting character. I wasn’t kidding when I said that she spent the whole book being angry, and she had all the reasons to be that way. Her relationship with her uncle was also compelling, especially because I kept thinking that he was a Romance hero gone bad. Instead of saving his young niece from a terrible home life, he was selfish and decided to save himself. And now he feels bad and wants to help Beth, but she’s very difficult and he isn’t a martyr, so they were in constant conflict. More than that, in the previous book we had a main character desperate to sacrifice his future to take care of his small brothers, and here we have the complete opposite of that. This was my favorite part of the book, and the main source of the over the top, delicious angst.The romance, on the other hand, didn’t work that well for me, mostly because I found Ryan to be slightly inconsistent. He becomes nice and good almost magically, and the result is a certain blandness to his character that I can’t quite pinpoint. But the chemistry was there and I liked them as a couple. I also enjoyed that this was a “bad girl falls for the good boy” story. In many ways Dare You To is the opposite of Pushing the Limits.Now that I’m writing the review I realize that my original reaction has changed. When I finished the book I felt a bit lukewarm, but the story has a lot of merit and in a way is better than the previous installment. The problem is that the reason why I loved Pushing the Limits so much was because of how extreme it was. This book is less into that exaggerated, almost manipulative emotion, and although it remains dramatic, the magic was not quite there. I still had a great time with it, but it wasn’t the same. That been said, I read the book in one night. Dare You To confirms that Katie McGarry’s books are additive if you’re into that particular brand of angst. And if you do, then I highly recommend this series.